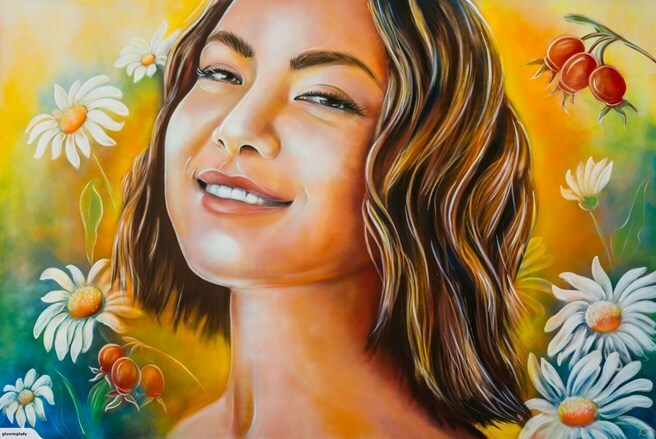 Trilogy has partnered with female graffiti artist ADORE, to bring a ‘Glowing Lady’ portrait to life over a week period, on Ponsonby Road in Auckland, from April 1st – 7th. You now have the chance to own this stunning piece of art – as Trilogy are auctioning off the beautiful glowing lady piece, with all proceeds being donated to their charity partner Look Good Feel Better. Adore is a female photo-realist painter who paints primarily with aerosol. She began her career as a street artist, creating works initially in Auckland's streets before being commissioned to create murals for individuals and brands such as Tiger Beer, Adidas, and IBM. She gravitates to portraiture, specifically to subjects that exude power and strength, and in particular has an appreciation for works that capture both femininity and resilience.